Below are some of the common questions our glaucoma patients ask us. If you’re considering glaucoma surgery, please take a look at these questions and answers. 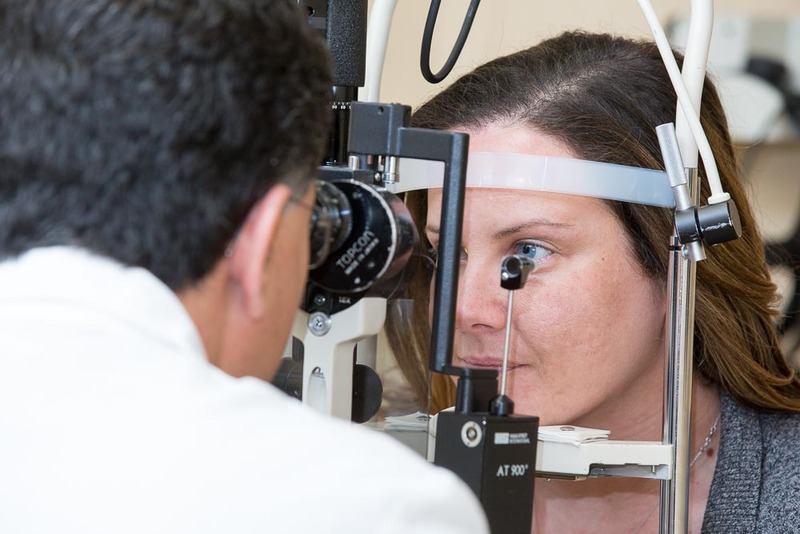 At New Jersey Eye Center we see patients with all types of glaucoma, and there are various treatments for glaucoma such as medication, laser surgery or regular type surgery. Glaucoma is the second leading disease to cause blindness. It is a very common disease and may cause blindness. Many people don’t know they have it because the symptoms are not apparent in the beginning. People who are at risk from getting glaucoma should get their eyes checked regularly. If glaucoma is diagnosed early, it can easily be treated with medication or laser surgery. It is a disease that results from high pressure in the eye which can cause damage to the optic nerve. This nerve at the back of the eye connects the eye to the brain and its impairment can cause loss of side and peripheral vision. It needs to be treated before vision is greatly impaired. Once vision is lost, it cannot be restored, so it is important to treat the glaucoma before there is great sight loss. What kind of glaucoma surgery do you do? We have been working here in glaucoma laser surgery for 20 years now. For glaucoma, laser procedures include argon laser trabeculoplasty (ALT) and laser peripheral iridotomy (LPI) for high eye pressure. Where the eye pressure is normal, glaucoma is usually treated with medication, followed by ALT laser. Where angle closure glaucoma occurs, the drainage channels are opened up to allow the fluid to drain away and thus lower the pressure in the eye. If the angle closes off, then the situation needs to be dealt with urgently. Have you performed any emergency surgeries in late evening hours for those with angle-closure glaucoma? Yes, many times. It is part of our job. Which procedures are most effective? All treatments and procedures are effective. If medication or laser surgery doesn’t help, then the patient needs to have regular type surgery. How have practices changed for the better in 20 years? Medication is more effective and easier for patients to use. Laser procedures are easier to use, and the treatments are much better than they used to be. Diagnosis technology such as peripheral vision tests and tests to measure the optic nerve at the back of the eye have improved greatly. There are new tonometers now, non-contact tonometers. The technology in our Center is state-of-the-art. The way we image the optic nerve nowadays is much more accurate and even the peripheral vision test is much more precise than it used to be years ago. The glaucoma surgery procedures that we do here at the New Jersey Eye Center in Bergenfield normally take 5-10 minutes, and are painless. The eye is anaesthetised during surgery, which lasts 20 to 30 minutes. The first step is normally medication, but, if the patient is allergic to the medication, laser surgery is used. When all other treatments have failed, traditional surgery may be resorted to, but this has more side effects and the healing process may take longer. Are there any underlying ailments that give rise to glaucoma? Glaucoma is not related to other ailments such as neurological problems or high blood pressure. Diabetes can cause other problems, but not usually glaucoma. One of the little known facts about glaucoma is that it is more common in African-Americans, Hispanics and people with a family history of glaucoma.